Turkey's new pap as revealed by the 1920 Ottoman plan. 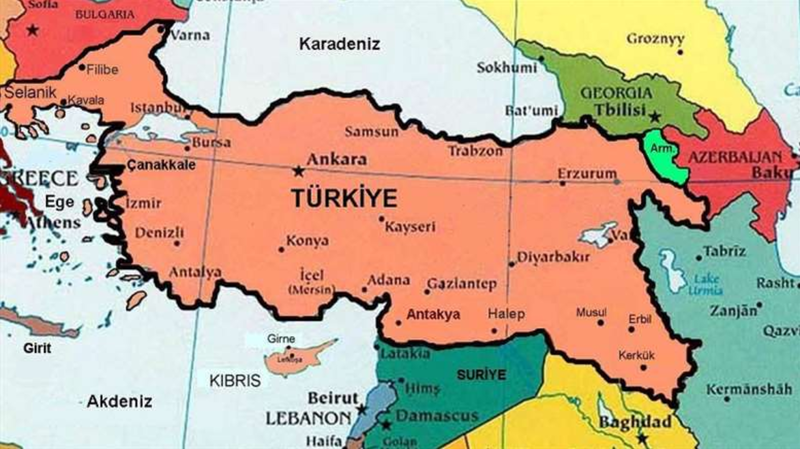 ISR comment: Turkish president claims that his country has no intention to grab land from its neighbors, yet his actions indicate otherwise as his troops move into Syrian and Iraqi territories. Erdogan uses Turkish nationalism, claiming that he will defend Turkmen brothern, and sectarianism, claiming that he will defend Sunni brotherrn, when in reality he wants to expand Turkey's control over lands eight with natural resources: water, oil, and natural gas. Erdogan was referring to an Ottoman Parliament-sealed 1920 pact that designated Kirkuk and Mosul as parts of Turkey.